So today is Father’s Day. I was intending to do a gift guide, but one - that ship has sailed. And two, I always struggle buying for my dad, and men in general. Another shirt - enjoy! I actually love shirts on guys so if you’ve got one from me in the past - it’s a good thing fellas. But back to the point, I thought I’d ‘off-road’ if you will, and write more of a sentimental post in honour of father’s day. Here’s five things my dad taught me. There is many more and I’m sure in the years to come, even more, but here’s the highlights. Riding a bike, algebra - you name it, I was brought up with the philosophy that there isn’t such a word as ‘can’t’ which has set me up to believe this is true. I don’t let anything stop me achieving what I want, even if it’s not a straightforward clear path - there’s always a way. Apart from driving. I still can’t physically drive. I’m a champ on GTA and have “driven” two cars so far but legally I can’t drive. Was in a good mood - team lost the big game, now I must hate everything and everyone around me. Okay, I didn’t take this ‘life lesson’ fully on board but I’ve witnessed it. 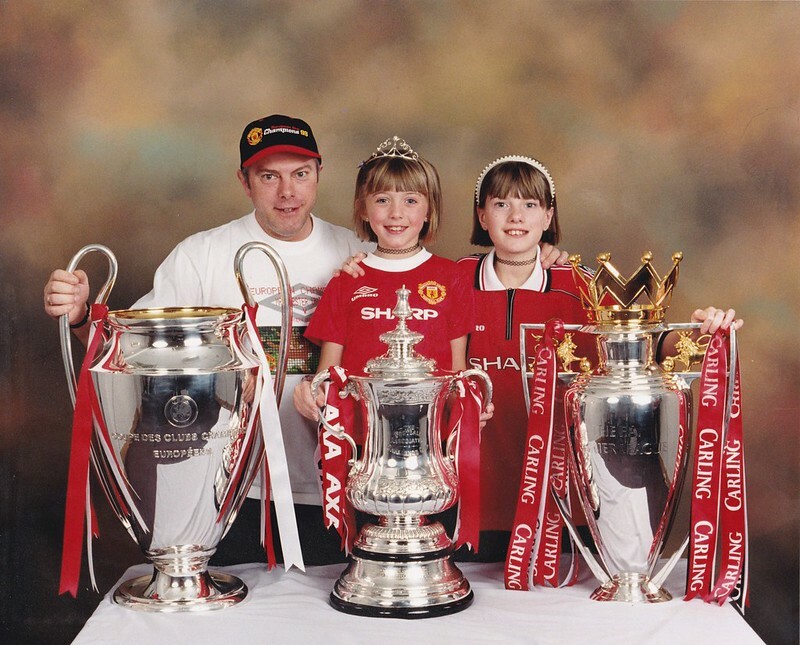 My dad is a United fan so the family have ‘supported’ United from day one. I say ‘supported’, it’s more like watch dad get irate at the TV for 90 minutes and pace up and down the lounge when it goes to penalties. It has made me enjoy football. GTA, football and good at rapping - am I still a girl?! Arguing is notoriously associated with being a negative activity. I believe otherwise. Just like Cher argued her way from a C+ to an A- grade in high school in Clueless (based on Jane Austen’s ‘Emma’), in most situations in life my dad taught me you can argue your way out of it. Obviously your argument needs to be valid and be thought out - nothing grinds me more when someone has a pointless argument and only raises the volume of their voice - no thanks, improve your argument and come back to me. Probably the one I use most in my day to day life - to simply enjoy life. Whilst it’s obviously wise to save money, my dad always taught me to spend some of it because “you can’t take it with you when you go.” Slightly morbid, I realise, but 100% true. You’re only here once so you may as well make the most of it.